When it comes to managing finance, some people seem to understand how to control their cash inflow and outflow. On the other hand, others find it really difficult to do so. It may be because they do not have the time, or they simply do not know how to do so, which could be caused by their lack of effort in learning it. They may not even understand where their money goes, as if it just evaporated. Some experience a saving phobia. I have a friend who feels if he doesn't spend his money in purchasing items he can see, he may just waste it on things he wouldn't be able to account for. Money have a significant impact on everything you do in life, hence, learning to manage is a necessary burden. I'd be talking about a helpful app today. 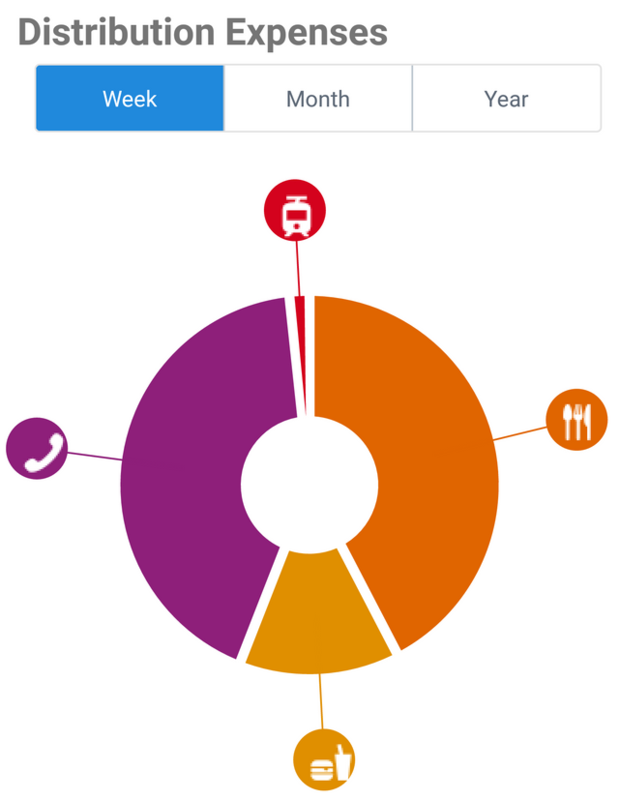 This app allows users to manage their expenses and income. 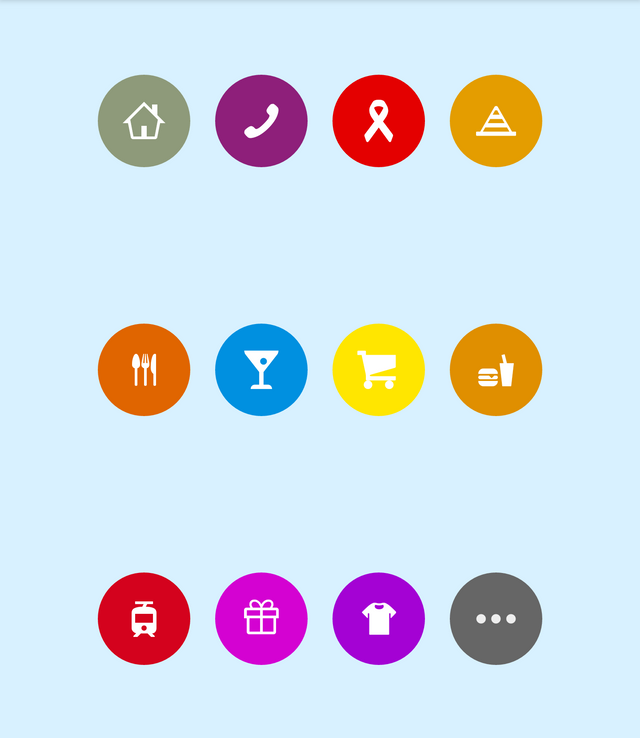 There are several icons for both expenses and income, with different colours to make them stand out. There's also a feature for repeated operations, e.g. income. There are tabs that show where your money go, statistics, and even charts. 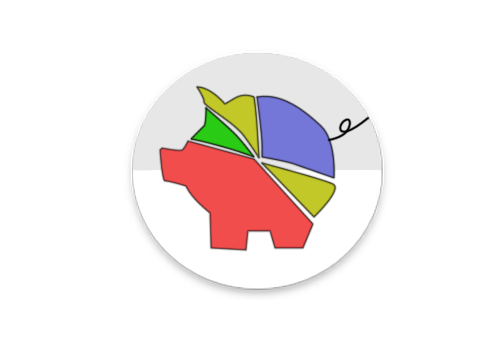 PiggyBudget does exactly what its name implies: it makes it easier to keep a budget. It helps keep track of your daily expenses, and includes a daily or monthly reoccurring income. The app was created in a piggybank style, so it's mainly for “pocket money”. Transactions paid by cash can simply be added on the home page of the app. The developer originally created the app to keep track of his expenses, however, I'm pretty interested. The developer of the app revealed that more features would be implemented soon. Money management is really important in the world we live in today. There's always a new product that would grab your attention. If you are not careful, you may end up spending emotionally. When you take a look at your paycheck, you imagine how you've already spent money even before you receive it. I still have a VR headset I bought in 2015 that I haven't used for years. It's of no use to me, I was just busy following tech trends. Emotional spending leads to negative outcome in the long run. Just like how individual interests varies from person to person, so does our spending habits. It's often advised that you shouldn't spend more than you earn. No one can tell you "don't spend on this, don't spend on that." That's because you're in charge of your spending. At times, we may be nonchalant about the effects of our spending habits, but are they really insignificant? The results do tell the truth. Therefore, PiggyBudget was created to resolve this. Most money management apps out there connect to your bank and credit account, in order to retrieve your transaction information. Is PiggyBudget like that? Definitely not! When users are asked to supply their credit card information, including usernames and passwords, I'm usually skeptical. I tried one, then I started getting frequent calls from their marketing officer. It also makes the platform less secure, with a high risk of a data breach. I would definitely not want my bank information to be seen by anyone else. It's for me, and me alone. This is why I like PiggyBudget, it doesn't require any connection to your bank info. Another challenge with most apps that require banking infomation is that they wouldn't be able to track transactions that involves cash. 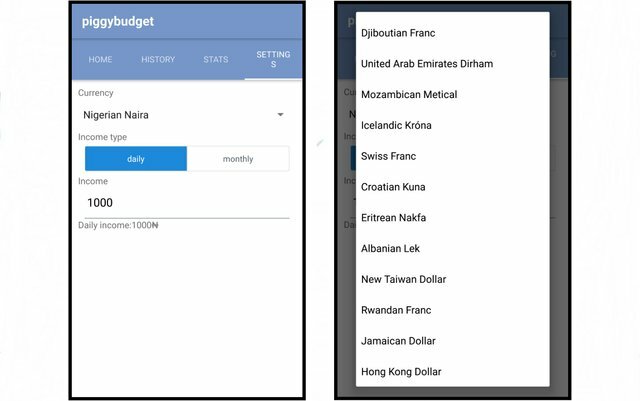 PiggyBudget allows users to input information manually. If I buy a burger for some dollars, I'd simply input it as expenses on PiggyBudget. Although it may take more time than conventional apps, I feel more secured. I choose security over comfort... lol. The focus of PiggyBudget is to simplify the process of managing expenses and income. 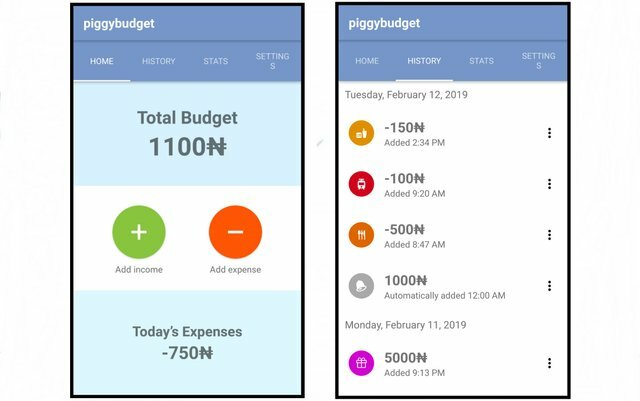 In order to get an expense tracker like PiggyBudget online, you'd either have to subscribe to premium or freemium services. Imagine how hard it is to maintain a budget when you're spending so much on a subscription based service. PiggyBudget is quite different, it is entirely free. I really love it for this. Additionally, there are no Ads whatsoever. And it has a smooth interface. PiggyBudget makes it easier for you to do a self examination. At the end of each day or week, you can simply take some minutes to examine your expenses. It's something you should take seriously, since the app shows you all you need to know. For meals you take at restaurants, you can consider if it's draining your finance, or if there are better alternatives. For beverages, you can consider if you spend too much on soft or alcoholic drinks. There's the possibility of getting diabetes on the other side. There's a whole lot of benefits from conducting a critical examination. When it comes to finance management, every penny counts. When something you tag as "only a few penny" becomes a reoccurring expense, it'd have an adverse effect on your savings. Let's now review the several pages and tabs you can find on PiggyBudget. On the home page there are two buttons, "add income" and "add expense." Simply put, expense is money spent, while income is money gained. When selecting to add income or expense, there are eleven options to select from. The options are represented with symbols. The options include, housing, phone, health, food, beverages, shopping, snacks, gift, shopping etc. I feel the range of options is limited though. There's no representation for Internet related activities. This didn't hurt the effectiveness of the app in anyway though. The history page shows a list containing expenses and income. It is listed according to time, from most recent to old. There are also options to edit, delete and convert the listed items. When you edit an item, you can change the price and/or the related symbol attached. You can also convert items involved, or change an item from expense to income, or vice versa. The Stats Page shows the statistics on how your money was spent. There are three different tabs on the Stats Page - the weekly/monthly expenses, the weekly/monthly income and the weekly/monthly/yearly distribution expenses. 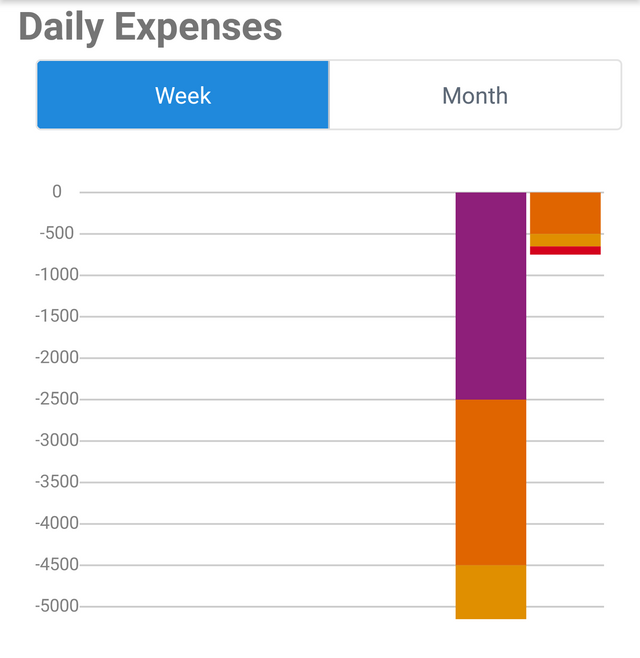 The Weekly/Monthly Expenses: There are two options on the tab, to show either the expenses for the week or for the month. The information are shown on a component bar chart. The Weekly/Monthly Income: It is quite similar to that of the expenses described above. 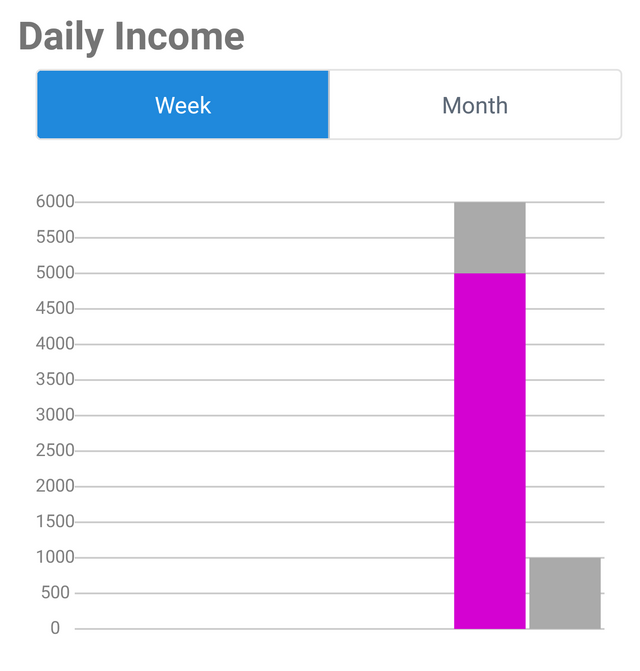 There are two options on the tab, to show either the income for the week or for the month. The information are shown on a component bar chart too. The Weekly/Monthly/Yearly Distribution Expenses: There are three options on this tab. It is used to show the expenses for the week/month/year on a pie chart. This is the last page on the app. It can be used to change the currency that is shown on the app. By default, Euro is selected as preferred option. You can specify your income in the settings page, while selecting the income type - either daily or monthly amount. If an amount is inputted as monthly income, it automatically calculates the daily equivalent. There have been several updates within the past few days. On the 9th of February, 2019, version 2.0 of the app was released. The update contains some bug fixes and additional features. More colours were added to the app, as well as GUI changes. Previously, expenses and income was shown in a single bar chart. In this update, they were separated into different component bar charts. Approximation in the amount spent was also removed. You definitely do not want to approximate to the nearest whole numbers when dealing with financial figures. The new update also makes it possible to see the day of the week in the history tab of the app. If you always panic that you'd spend your money on random things before paycheck, PiggyBudget is here to help. It does make finance management easier in the simplest way possible. You'd be able to see how much you're spending, and the amount you're receiving. I like a financially organised life, and that's something PiggyBudget offers. The security aspects is what interests me most in the app. I like that it does not connect to my bank or credit cards. Conclusively, PiggyBudget is free to download, and there isn't any in-app purchases. As it helps you track your spending, it'd make it easier for you to save. It's noteworthy to mention the simplicity of the app. Thank you for this contribution. This is a rather useful tool indeed, and I certainly agree that keeping track of how you are spending your money is the first step to taking control of your finances. Creating financial awareness is essential, and this project aims to help users achieve just that. The post is extensive, very informative and well-illustrated with quality screenshots. On the content side, I have mixed feelings about your post. You certainly went into detail about the features described in your review, however the post tells the readers very little about your personal views and experience of using the application. That said, the post did have issues of grammar and style, but not to the level where it hurt the reading experience. To sum up, you did a good job, and I look forward to your next contribution. You just got a 1.67% upvote from SteemPlus!